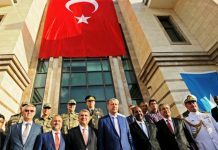 (Reuters) – Turkish President Tayyip Erdogan declared victory in elections on Sunday, citing what he said was a public mandate for him and the alliance led by his ruling AK Party. 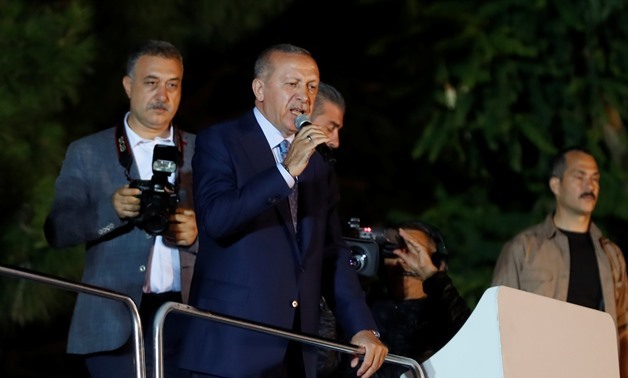 Erdogan the most popular, and divisive, leader in recent Turkish history, said there would be no turning back from where he and the Islamist-rooted AK Party had brought the economy. “Our people have given us the job of carrying out the presidential and executive posts,” he said in a short speech from Istanbul. Broadcasters had earlier reported that Erdogan had 52.8 percent of the vote, with 95.1 percent of the votes counted in the presidential election.